Find the Perfect Yacht for Your Perfect Vacation! 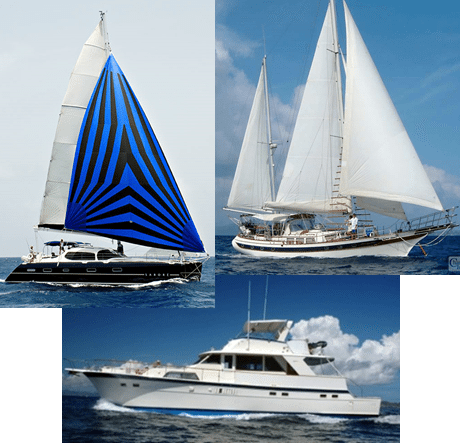 Blue Horizon Yacht Charters, Ltd. offers yachts that vary in size from small to large, economy to luxurious. Power yachts and sailing vessels. All of our yachts belong to the Virgin Island Charter Yacht League and the B.V.I. Charter Yacht Society. Most of them are owner operated. All maintain high standards of safety, reliability and service. Prices range from $300 to $500 a day per person depending on the yacht you choose. Our yachts can accommodate from two to twenty people. You can either charter the whole yacht or book cabin space with a group. The most economical way is for two or three couples to go together. The average length of a Charter is six or seven days. However longer or shorter charters can be arranged. Due to airline delays, we recommend you overnight in St. Thomas or Tortola before your charter. We can make all your arrangements for you. Each crew has their own style that is individual and unique. Every detail of your charter is custom tailored for you making this a perfect vacation for first timers as well as for experienced cruisers, a romantic two-some or a small group. It’s ideal for the active adventure seekers or for those who seek to do nothing more than relax and unwind. Whatever your style or budget, Blue Horizon Yacht Charters has the perfect yacht for you!